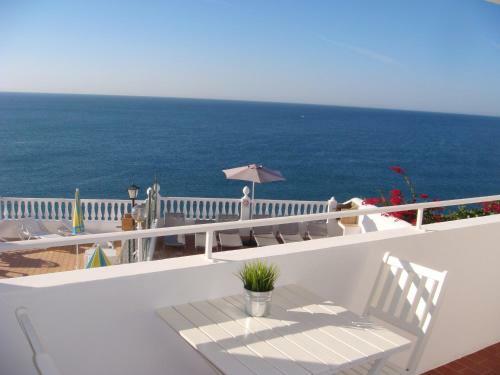 These apartments overlook the bay of Albufeira and come with a fully equipped kitchen and private balcony. All of them overlook the swimming pool below or the Atlantic Ocean. The Rainha D.
Situated in Albufeira, Apartamentos Rossio Mar are located in 2 different buildings, one is 150 metres from the beach, and the other is 50 metres from the lift that can take you to the beach. Only 400 meters from Maria Luisa Beach, Balaia offers self-contained accommodation in a tranquil location among Mediterranean gardens. It features an outdoor pool, a nearby golf course and free parking. Set in a Mediterranean pinewood facing the Atlantic, this design hotel offers accommodation with massage facilities. It features an outdoor pool and has direct access to a beach only 400 metres away.